DigitalPianoNews.co.uk - Baroque pieces on a Classical Piano? Baroque pieces on a Classical Piano? Baroque compositions on a Classical piano is an interesting conversation point for musicians today. Some may say Baroque pieces must be played on a harpsichord and others will say that the Classical piano gives an authentic sound to the Baroque works of great composers. The beloved Harpsichord was a cherished instrument in the Baroque period. It allowed composers such as William Byrd and Domenico Scarlatti to be more musically flexible with the different choirs of strings that were available on the Harpsichord when composing their fugues, suites and fantasias. The Renaissance and Baroque musical periods mainly focused on idiomatic writing which developed from the improvised ornamentation heard in the renaissance period, which essentially were the stems of actually writing ornaments down on musical scores such as mordents, trills and turns. The Renaissance musical era began with the traditional plainchant heard in churches sung by monks. The plainchant was a monophonic line with completely free rhythm. Plainchant progressed further and composers like Monteverdi used this as inspiration with their writing. Monteverdi for example in his Vespers he uses the plainchant line but this is embellished with the large polyphonic melismas in the other parts. The plainchant also has imitative upper parts which are also embellished. Monteverdi was a key composer who used the harpsichord in his compositions. Moving forward into the classical era when the piano was introduced we heard pieces from composers such as Beethoven, Haydn and Mozart. 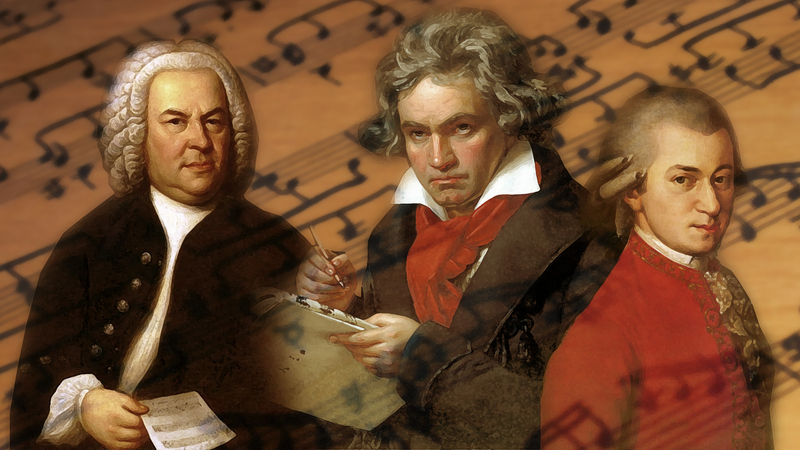 These three key composers of the classical era were considered the ‘Kings of Piano Sonatas’ with their incredibly intellectual writing skills. Haydn taught Beethoven a lot of skills with regards to writing piano sonatas. In his later life when Beethoven’s hearing was rapidly deteriorating he tended to use the lower register in his compositions as this was the pitches he could mainly hear at. For instance in his famous Moonlight Sonata he focuses mainly on the left hand octave chords in the bass clef with the right hand in treble clef acting as a lower accompaniment part before the melody happens with the G# above middle C in the later bars. The Moonlight Sonata is incredibly soft throughout with a muffled accompaniment happening with the left and right hand. One would certainly not be able to achieve this with a harpsichord! Moving even further from the classical piano era we now have the digital piano. Digital pianos now give us the best of both worlds. Pianos such as the Kawai, Yamaha and Chase models give us the option to use the tonality of both the harpsichord and classical and grand pianos. The amazing creations of these electric pianos and of course electric grand pianos give us the opportunity as pianists and composers to be able to play the great works of Monteverdi through to Beethoven the way they intended them to be. Previous Previous post: Kraftwerk come to Manchester in 2017.